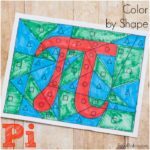 I’m always searching for ideas to get my kids interested in practicing math. To be honest, 99% of the time that’s a computer game. I’ll take what I can get though! 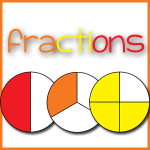 Since starting the LEGO math challenge, we are getting a lot more practice offline too. Phew! 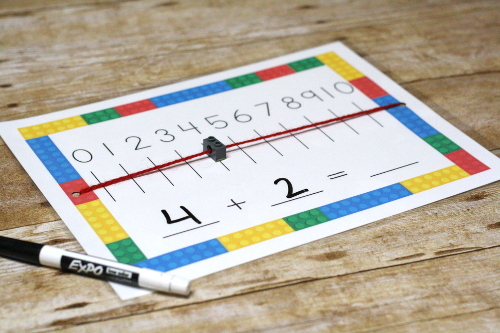 So don’t miss the rest of our LEGO Math Ideas! 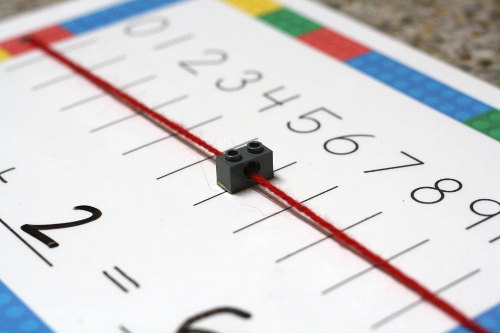 And be sure to check out the newest one: the LEGO Number Line! I was really excited to make this mat with a LEGO Brick and I thought that would get the boys interested. Just getting them involved in a kinesthetic way helps our math lessons to go so much smoother! 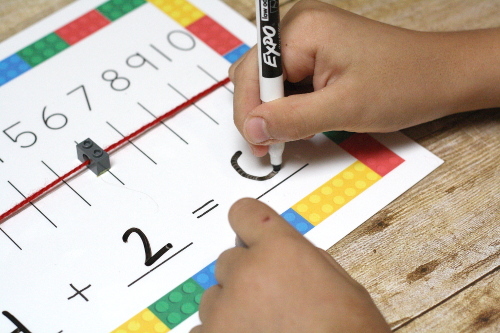 Plus, these number lines are still a new idea that they are enjoying! I forgot to get a set up picture last time. Here you can see how the ends of the yarn are just taped down on the sides. 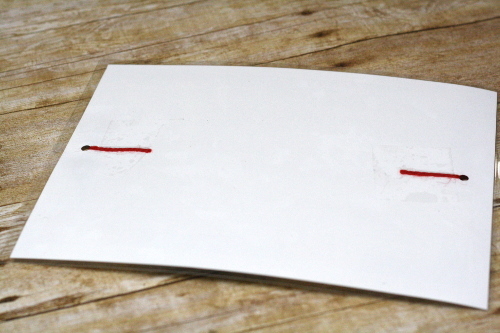 Tape down one side, add the marker on the right side, then tape down the other side. Easy peasy! I did laminate my mat and printed on cardstock. With something like this, that we will use quite a bit, I find the extra steps keep in in great condition so much longer. I don’t laminate all of the stuff I print, but things like this? Yes. We were able to use a LEGO Brick with a hole in it! I did provide a print out with a little LEGO piece for anyone who doesn’t have a LEGO available! 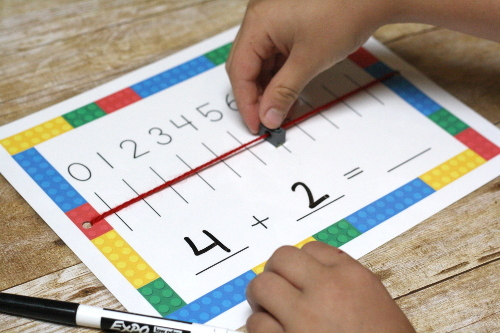 We pretty much just use these for some math practice. I write down the equation, they figure it out! Sometimes we use the markers and sometimes we don’t. It all depends upon their mood! 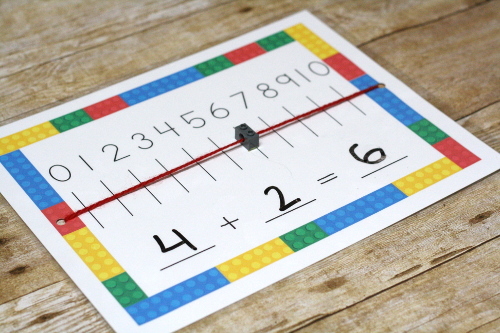 I’ve used these with Logi-Bear for number sense as well. Count from 0 to 10! 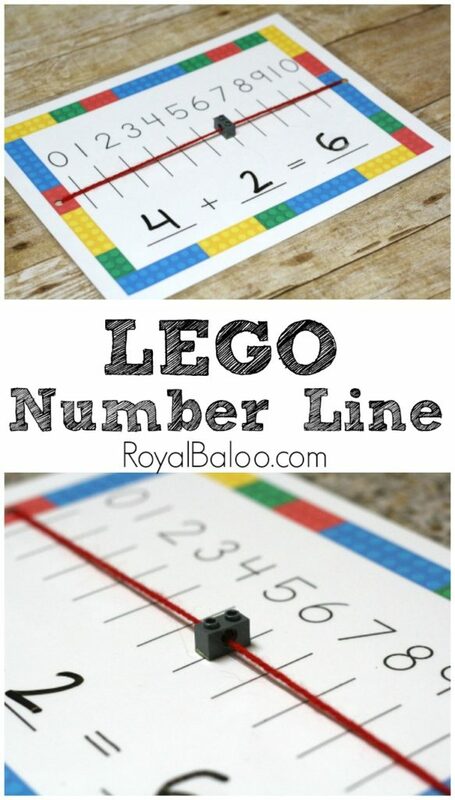 Add the right number of LEGO bricks over the numbers. Number one gets 1 brick, etc. 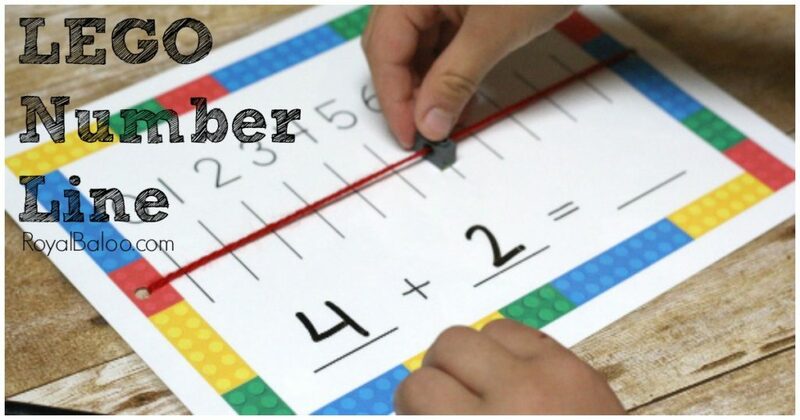 This mat and the pumpkin one I previously did have really helped with learning how to start counting on the next number. When you have a object that starts on the first number, it’s so easy to understand that you start counting on the next number. I know that’s a habit that requires practice too though. 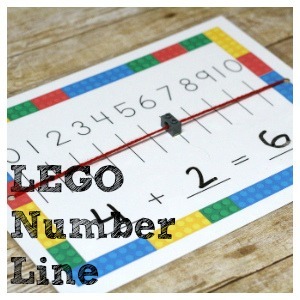 Go Here to Download the LEGO Themed Number Line!